Planning for BSidesSG 2019 is currently underway. BSides Singapore has two parallel tracks planned for this year - technical talks and workshops. If you have cool technical research or interesting workshop content, this is the opportunity for you to interactively present and get feedback from the community. BSides Singapore is a volunteer organized event, put on by and for the community. Without volunteers, this will not be possible. We need good, reliable and passionate folks to help us throughout the day of conference and make a successful event. 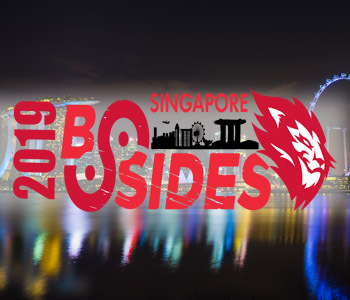 BSides Singapore events are intimate affairs, where all participants can engage each other to develop professional networks and great knowledge sharing experience. We strive to keep the conference cost minimal as we can, and this is possible with generous sponsorships. We strive to keep the cost of BSides Singapore minimal as we can. Thanks to all our generous sponsors. Tickets will be available from May 1, 2019.